Any medical treatment has pros and cons, and that is why you need to understand estrogen therapy side effects. Hormone replacement therapy is just that – a way to increase hormone levels after they decline. Unfortunately, not all methods of HRT are equal in their functions, results, and safety. HERS studied women with prior heart attacks. The goal was to see if estrogen in conjunction with progestin could lower a secondary coronary event risk. The result was an increased risk of heart attack over four years. Blood clots in legs and lungs also increased. PEPI examined solo estrogen therapy for heart disease and bone mass and found no increased risks. The WHI study had many pitfalls. Women receiving only estrogen began the study with a higher cardiovascular disease risk than the ones in the estrogen/progestin study. Synthetic progestin rather than natural progesterone was used in the study. 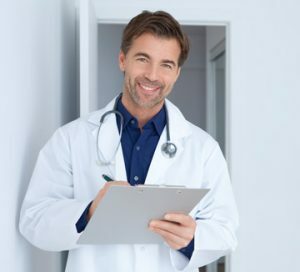 As we examine the risks and side effects of estrogen replacement therapy, you will have the information you need to decide if this treatment is right for you. Doctor prescribed estrogen replacement therapy side effects are typically mild if they do occur. Most females are excellent candidates for estrogen treatment to combat menopausal symptoms. 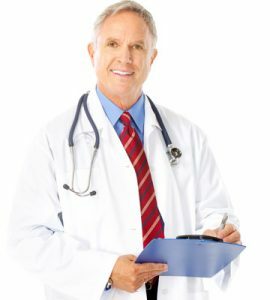 If you do experience side effects of estrogen therapy, it is best to contact your prescribing doctor. Adverse reactions typically improve within three months. Oral forms of hormone replacement tend to go to the liver. HT Medical Center doctors rarely prescribe oral preparations of hormone therapy. Progestin side effects are relatively the same as with estrogen, although depression, acne, and abdominal pain are other possibilities. Progestin – a synthetic form of progesterone that provides many of the same benefits as progesterone. The body does not recognize progestin as natural and must convert it before use. Progestin carries many risk factors. Progesterone – bioidentical to the body’s natural progesterone. Readily recognized as natural progesterone and immediately used with little to no risks. Does estrogen therapy have side effects when used with progestin? Since progestin can help protect against uterine cancer, hormone doctors recommend using bioidentical progesterone to avoid progestin/estrogen therapy side effects. As with any form of hormone replacement therapy, doctor supervision is mandatory. The best way to avoid side effects of estrogen therapy for menopause is to contact a hormone specialist. We know that many women first think of their gynecologists for treatment. Unfortunately, not all physicians keep up to date with the latest findings in hormone therapy for older women. Estrogen and progestin are not always the best options. Do not begin estrogen or even estrogen and progesterone (yes, natural bioidentical) without first undergoing blood testing. 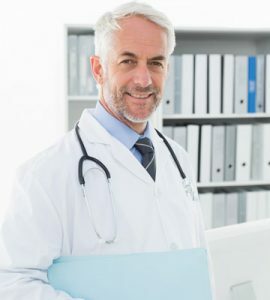 A hormone specialist will analyze your estradiol, progesterone, testosterone, and growth hormone levels to determine the best treatment for your needs. Today, many women are choosing the safer testosterone therapy that naturally helps increase estrogen levels. 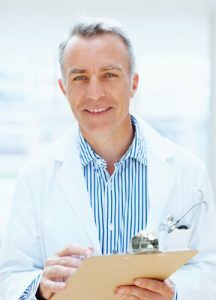 Testosterone replacement therapy is generally considered safe in many women who are not estrogen candidates. To speak with a hormone specialist about estrogen therapy side effects and recommended treatment options, please contact HT Medical Center for a free consultation.